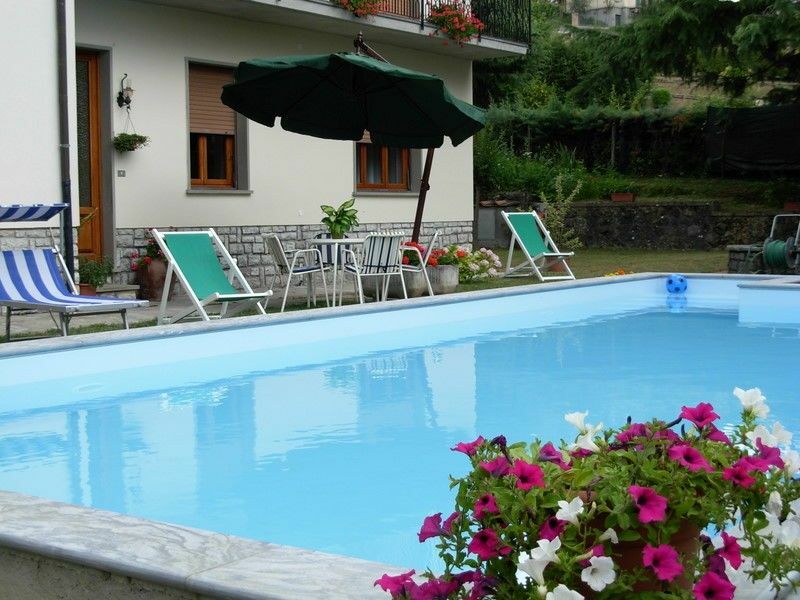 Casa Natalina, a traditional family house is in beautiful Garfagnana. A 3 Bedroom villa, sleeps 7, private pool, garden, wi-fi, complementary wine. 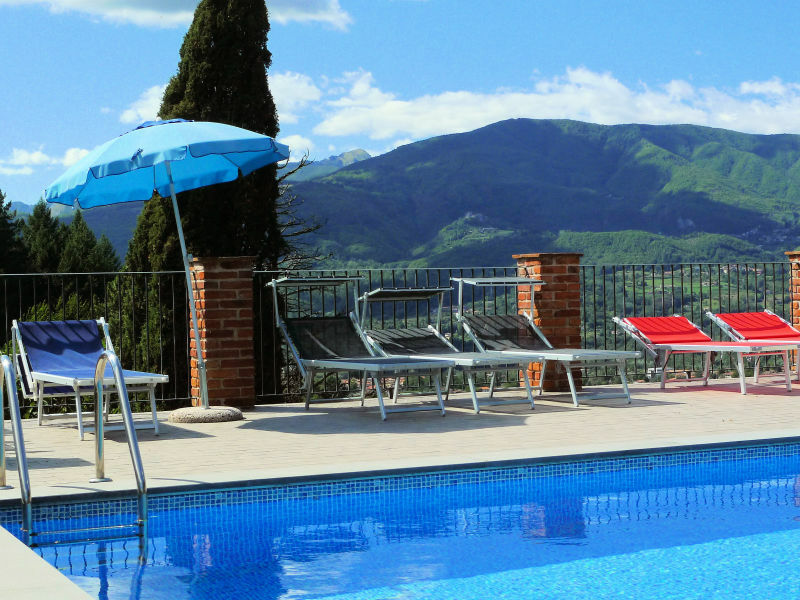 Casa Massimo with a private pool and Wi-Fi. 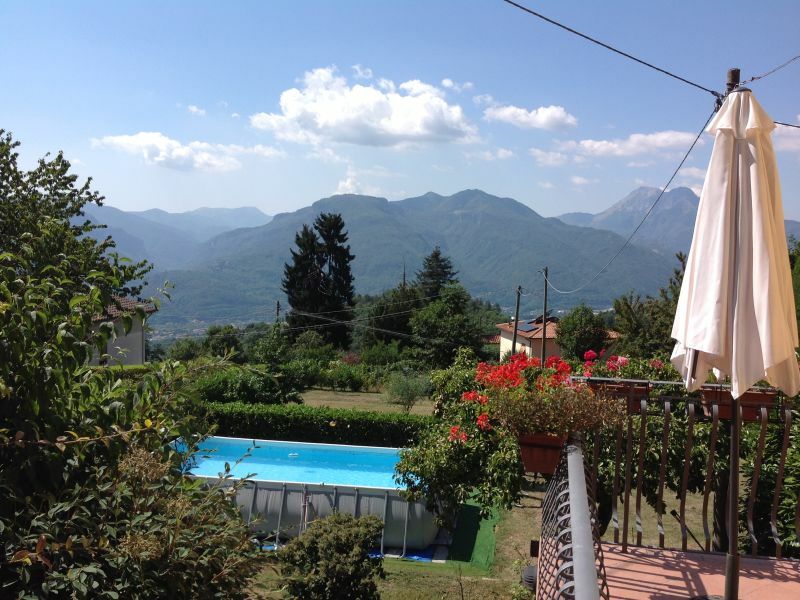 A two minute walk from restaurant in the beautiful village of Castiglione. Casa Norma is a beautiful Farmhouse Villa with private swimming pool and beautiful views near a restaurant. Complimentary wine from the owner. 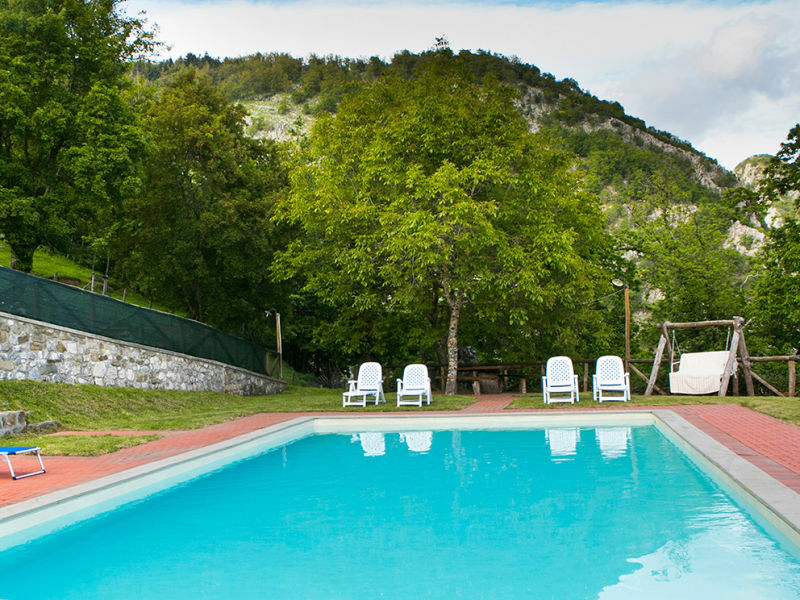 Luxury recently restored farmhouse villa with a large private 10x7m swimming pool in private grounds including forest walkways.A nature paradise. 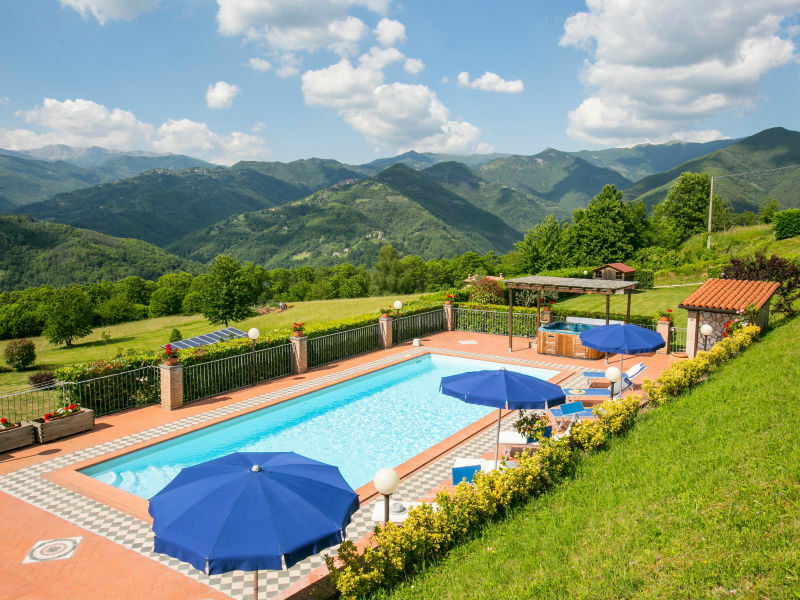 One bedroom apartment on traditional working farm with infinity swimmimg pool, large garden, children's playground and stunning panoramic views. 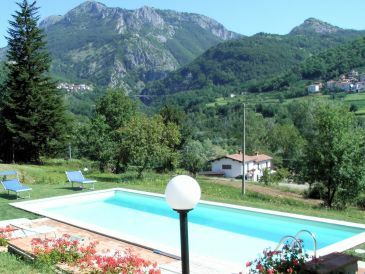 A stylish 2 bedroomed house with infinity pool and stunning panoramic views in the interesting village of Silico. Free use of electric mountain bikes. 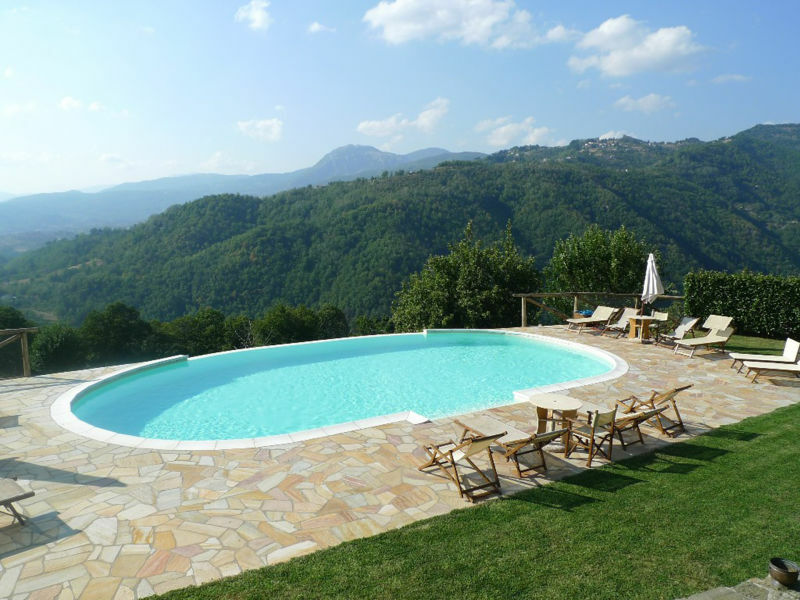 Villa with private pool, large terrace and spectacular views, near Lucca. Set in an idyllic medieval village with popular family run restaurant. 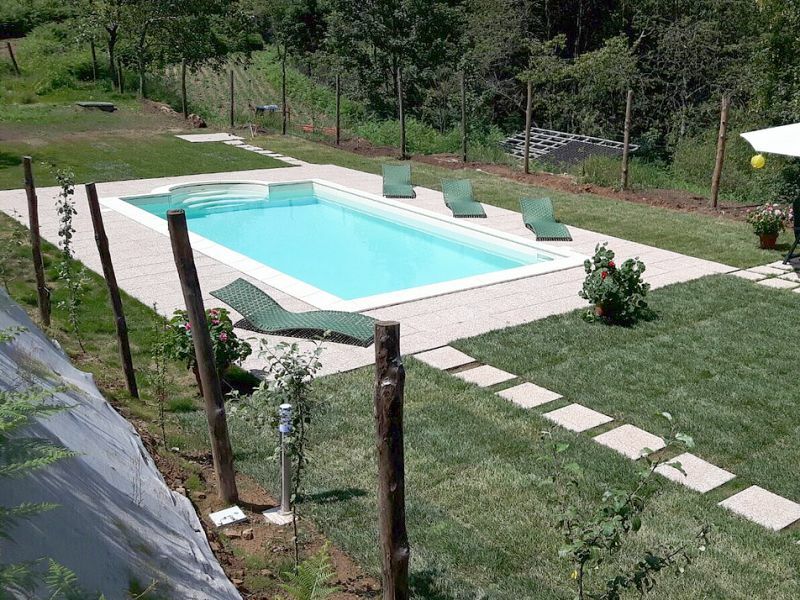 3 bedroom Toscana Farmhouse villa, real farm, lovely private pool, stunning views, games area, free wi-fi, great for children. 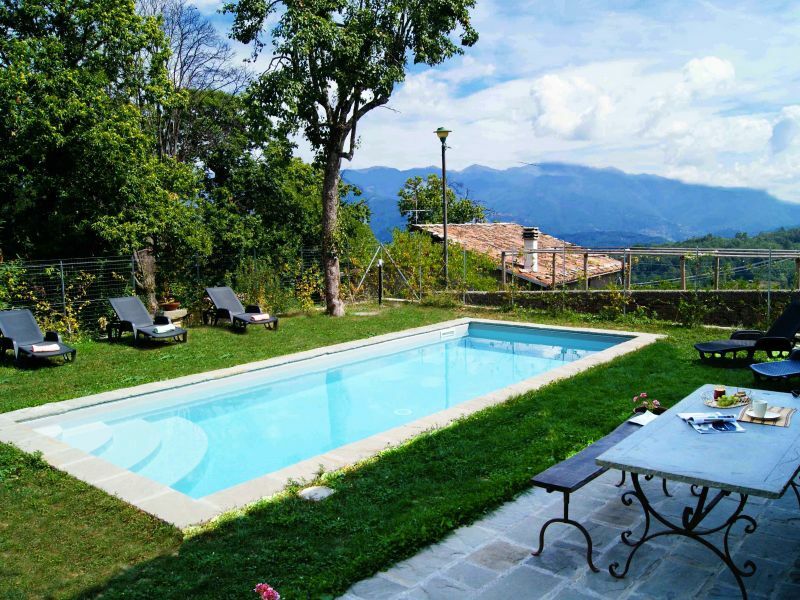 Wonderful classic 17C merchant's Tuscany Villa - 10x4 meter private pool, antique furniture, 6 bedrooms. 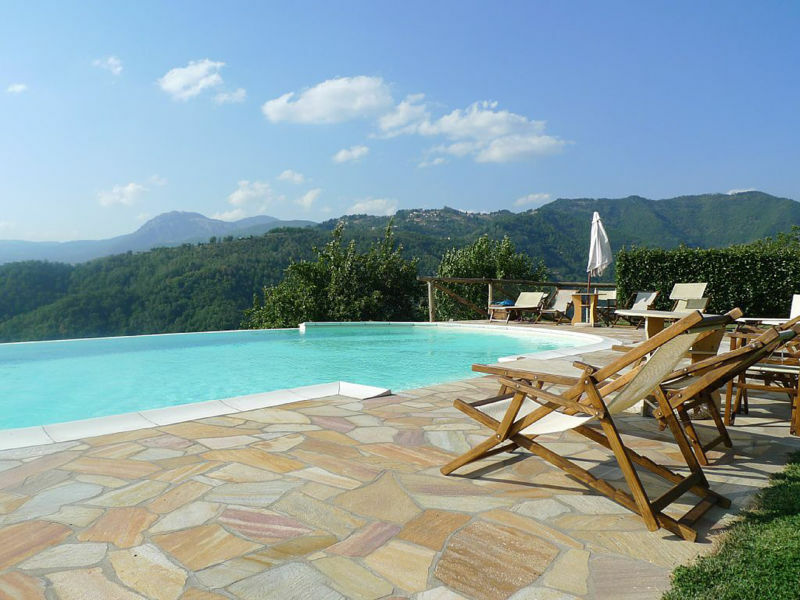 Villa Cavanni is a spacious detached 5 bedroom villa with large private pool, jacuzzi, and outdoor kitchen. 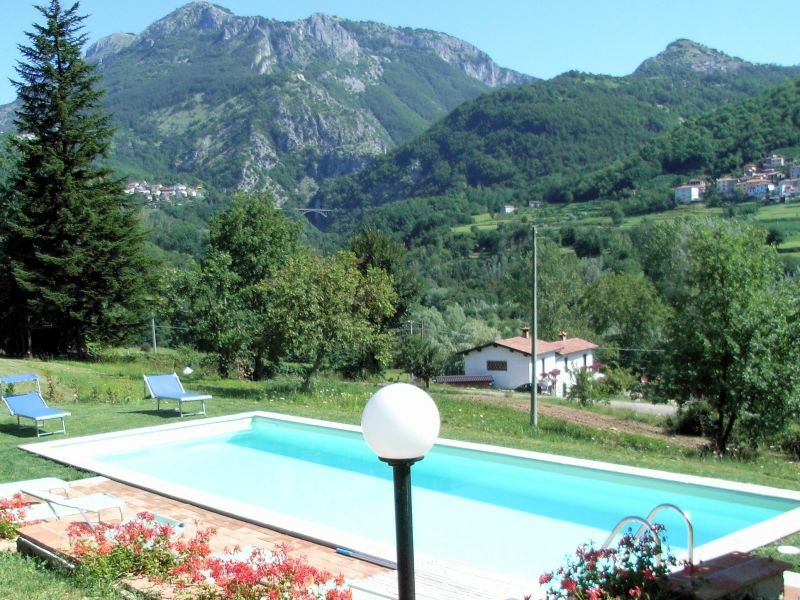 Very nice, restored farmhouse on the hills (580 m above sea level), north from Lucca, near the Natural Park of the Apuan Alps.